New Genuine OEM Factory Sealed PCV Valve. Positive Crank Ventilation Valve. 2005 - 2018 Odyssey. 2015 - 2018 TLX. 2004 - 2014 TL (2WD ONLY). 2015 - 2018 RLX. 2005 - 2008 RL. 2013 - 2018 RDX. Cummins ISB6.7 engines 2007 up. Powerful vacuum pump action creates a strong suction that pulls the dirty oil and sludge into the Oil Changers tank. You can also use it for bailing the boat, removing transmission-oil overfill, cleaning up spills and more! CIVIC SI (COUPE). CIVIC SI (SEDAN). GENUINE FACTORY OEM. 100% FACTORY ORIGINAL OEM PART! We make every effort to represent what these parts are and what vehicles they fit. Galpin Honda wants to be sure you are getting the item you want or need. 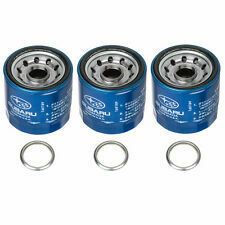 Fleetguard CV52001 Crankcase Filter. Cummins ISB6.7 engines 2007 up. Manufacturer Part NumberFBA_CV52001. Item model numberFBA_CV52001. 1x 95005-7500310M, Genuine PCV Silicone foot hose Length Cut-to-Fit. PCF5571, CAF1823B, CF11279, CAF2062. 1PC PCF5571. Genuine Toyota PCV Hose. 2008-2015 SCION XB 2.4. 2001-2007 HIGHLANDER 2.4. 2001-2008 RAV4 2.4 & 2.0. 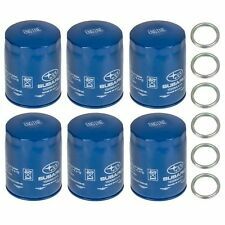 2005-2010 SCION TC 2.4. 2002-2008 CAMRY 2.4L JPP BUILT. 2007-2008 CAMRY HYBRID 2.4 JPP BUILT. Toyota MR2 Spyder. Toyota Celica. Toyota Corolla. Toyota Matrix. 2008 CE; LE; S; 1.8L; 1ZZFE Eng. 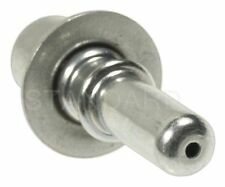 ; To 1/08; ZZE130; Japan Produced w/ 1.25mm Threads. 2007 CE; LE; S; 1.8L; 1ZZFE Eng. ; ZZE130; Japan Produced w/ 1.25mm Threads. Part Number: 57098. Established in 1959! I.D. Thk.3.444 (87) 3.100 (79) 0.235 (6) . PCV VALVE KIT 1997-2000 LEXUS ES300. 045-0306 12204-20020/12204-20010 PCV Valve. 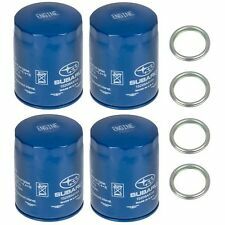 Wix Part# 24070 Coolant Filter. Adding New WIX Filter Numbers Weekly. Cummins ISB6.7 engines 2007 up. OCV Breather Assembly. If the engine is using the plastic pcv valve you have to remove the complete adapter to make it work. USEFUL LINKS. Add to Favorites. Ending Soon. New Arrivals. All Products. Read More. I am built on honesty and integrity. Water, Spin-On. We appreciated it. Cummins 11/16 w/16 DCA4-4 units For Brazil Market, use WF2171. 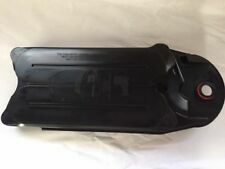 K&N Universal Rubber Base Crankcase Vent Air Filter Valve Cover Breather 3/4"
The 62-1560 crankcase vent filter has a K&N black rubber top and rubber base. Product Style: Rubber Base Crankcase Vent Filters. Black rubber top and base. Filter Material: Non-woven Synthetic. Top Style: Rubber. 4.5 out of 5 stars - K&N Universal Rubber Base Crankcase Vent Air Filter Valve Cover Breather 3/4"
2 product ratings2 product ratings - K&N Universal Rubber Base Crankcase Vent Air Filter Valve Cover Breather 3/4"
Part Number: FV405. To confirm that this part fits your vehicle, enter your vehicle's Year, Make, Model, Trim and Engine in theCompatibility Table. The engine types may include 2.0L 1996CC 122Cu. l4 GAS SOHC Naturally Aspirated, 2.4L 2429CC 148Cu. 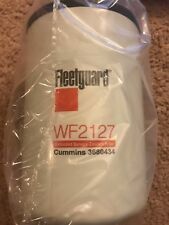 New Fleetguard Extended Service Coolant Water Filter WF2122. XREF WC13, 1843659. P554685 - COOLANT FILTER, SPIN-ON NON-CHEMICAL. Alternate Part: DBC4085 DONALDSON BLUE. Coolant Filters & Products Product Attributes. Efficiency 99%: >50 Micron. Pieces Per Pallet: 840. 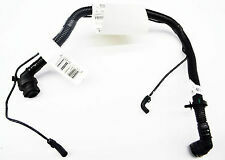 BMW ALPINA B7 2007-2008. you are buying Set of (1 Pair) of PCV (Positive Crankcase Ventilation) Valve 11127547058 11 12 7 547 058 11 12 7 537 733 11127537733 F01C600017 F 01C 600 01. BMW 545I 2004-2005. 1x 95005-7500310M, Genuine PCV Silicone 1foot hose Length Cut-to-Fit. The engine types may include 3.0L 2977CC V6 GAS SOHC Naturally Aspirated, 3.0L 2997CC 183Cu. V6 GAS SOHC Naturally Aspirated, 3.0L 2997CC V6 ELECTRIC/GAS SOHC Naturally Aspirated, 3.0L 2997CC V6 GAS SOHC Naturally Aspirated, 3.2L 3210CC V6 GAS SOHC Naturally Aspirated, 3.5L 3471CC 212Cu.